Guess what time it is? It’s time to bust out the skateboard and do some sewer skating! We know that you and Michelangelo have something very important in common: you’re both known as the life of the party in your crew. Well, what better time to show off your party animal skills than at Halloween? 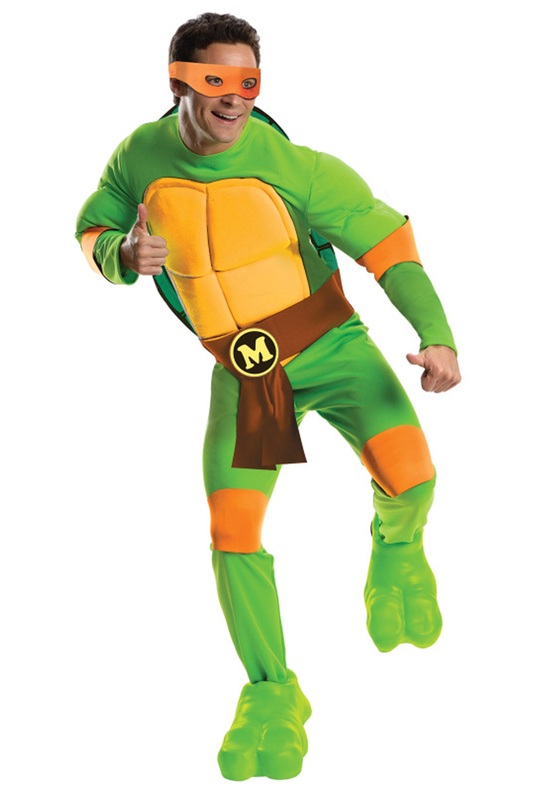 And what better way than in solidarity with your reptilian counterpart in this Deluxe Adult Michelangelo costume? But before you totally unleash, oh wild one, you need to get prepped for a night of ultimate fun. Let’s get you ready. Start by tapping into your creativity--Mikey loves to think up new ideas--but then get really distracted and super excited by everything and lose your train of thought. Ok, you’re doing great. Wait where are you going? Stay focused! Where did that pizza come from? OK, OK, forget about morphing mind, body, and spirit into the TMNT resident party dude and instead, slip into this bright green jumpsuit. It has padded arms and a padded shell and of course, Mikey’s signature orange face mask, knee, and elbow pads. In case anyone can’t tell who you are when roll into the party, the brown sash with the letter “M” on it ought to tip them off. But really, with a boisterous personality like yours and a sweet pair of nunchucks that you’ve picked up, really, who could be confused? You'll be set to take on Bebop and Rocksteady in an epic battle to save New York City from the evil Shredder--or at least to save your pal’s party from utter boredom. 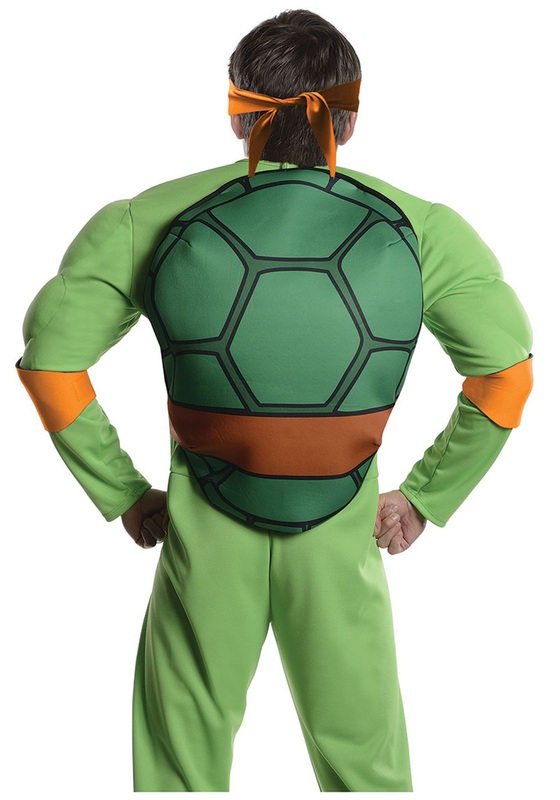 Turn up the ‘tude and set your sights on a raucous night as you bring "TURTLE POWER" to Halloween this year!